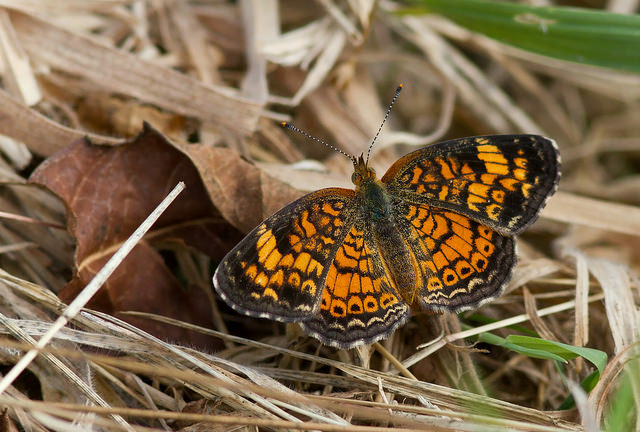 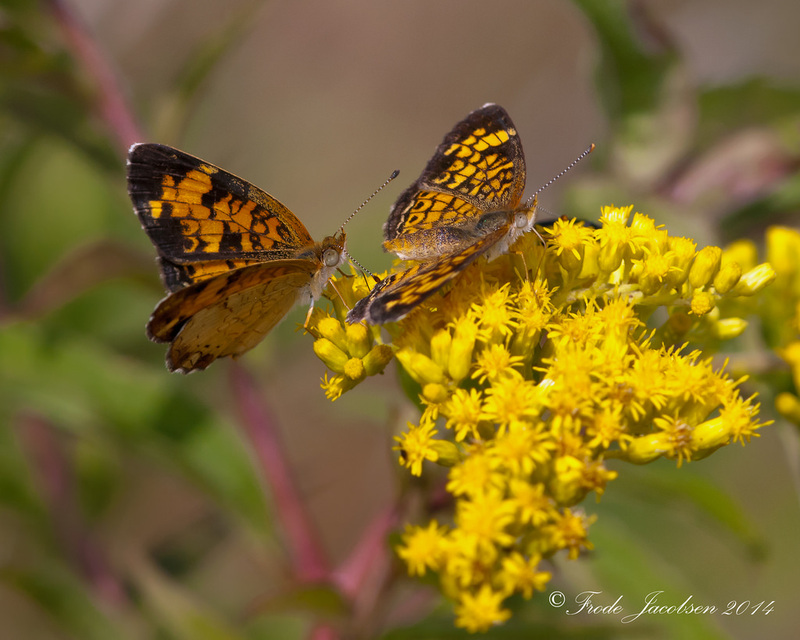 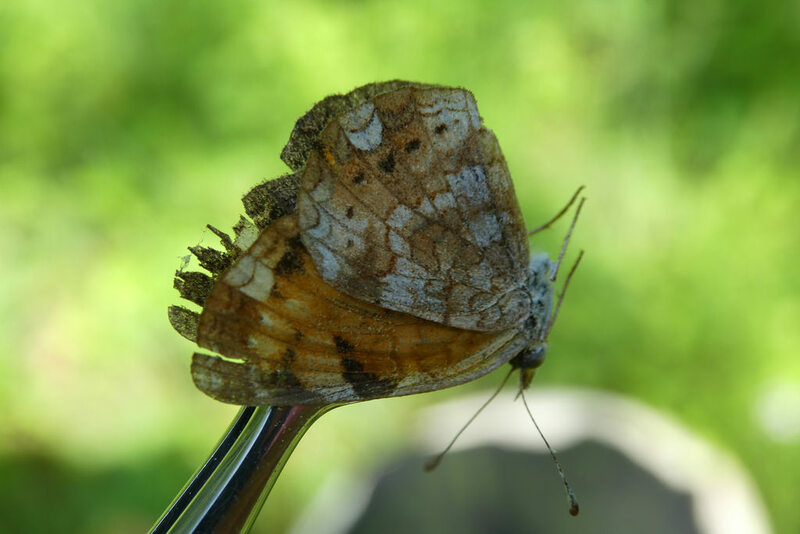 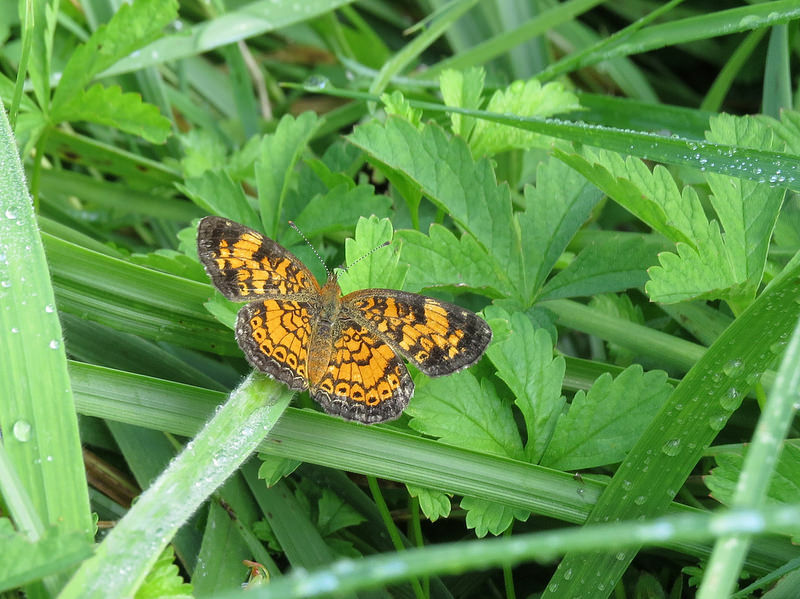 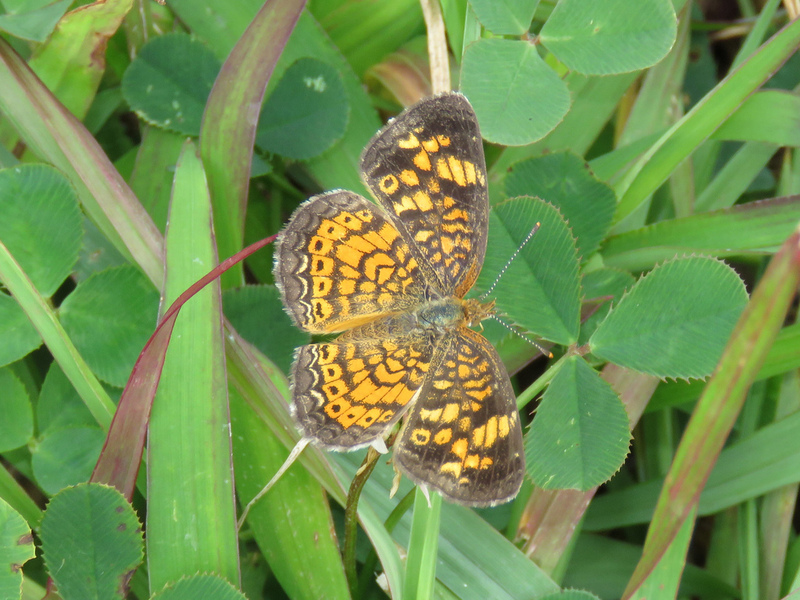 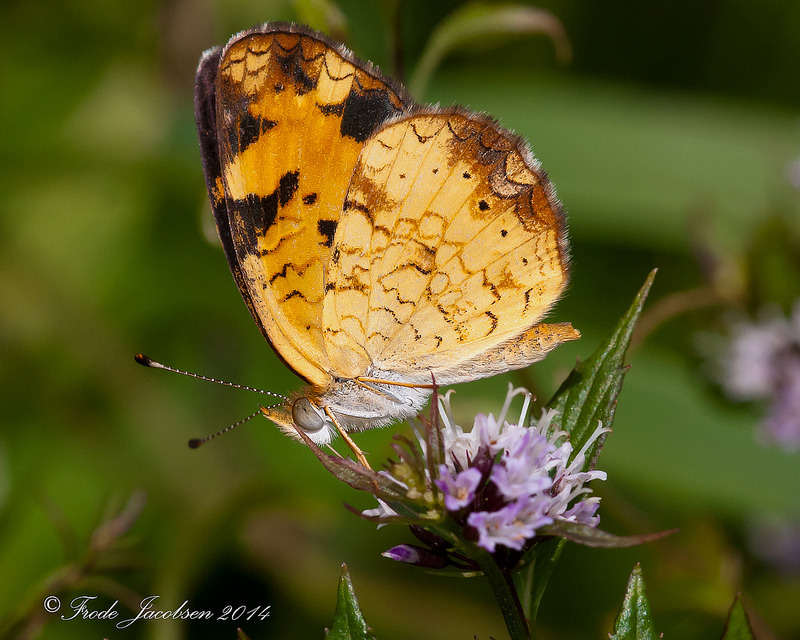 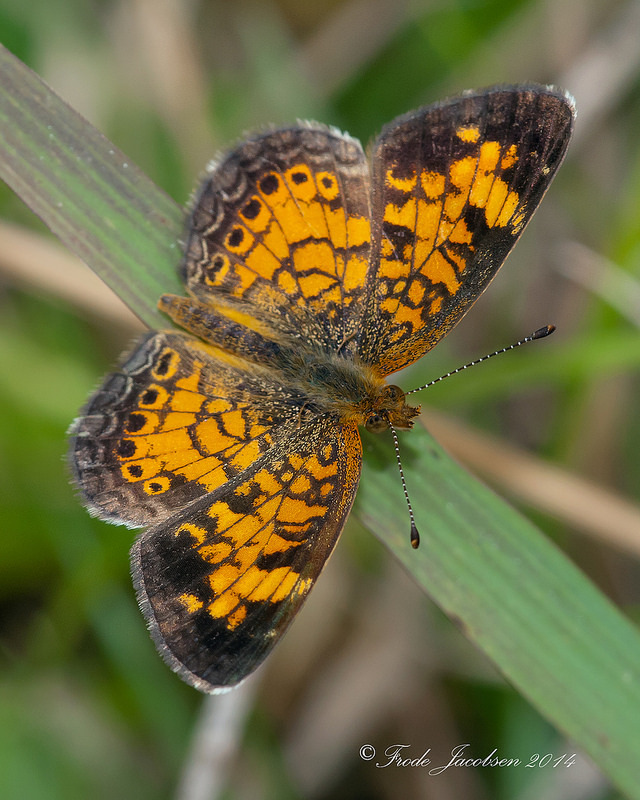 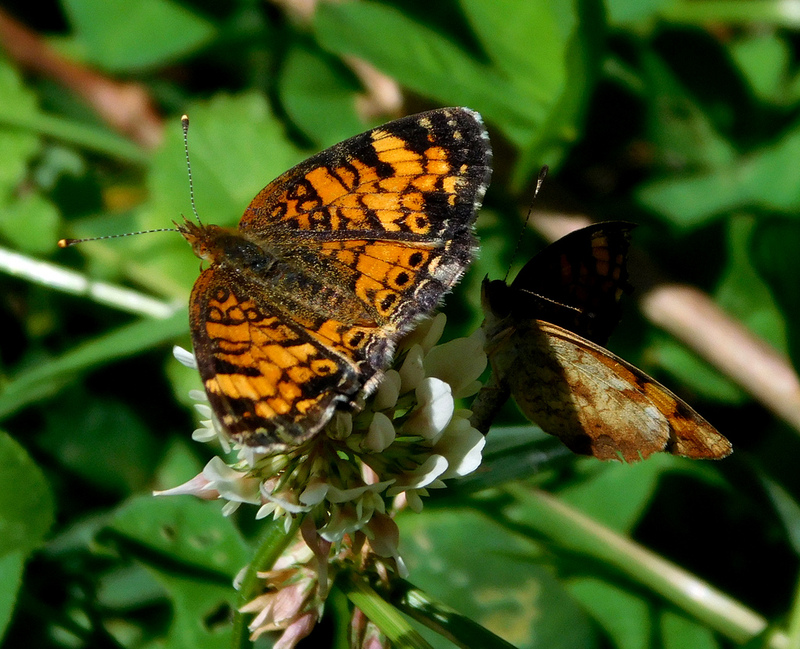 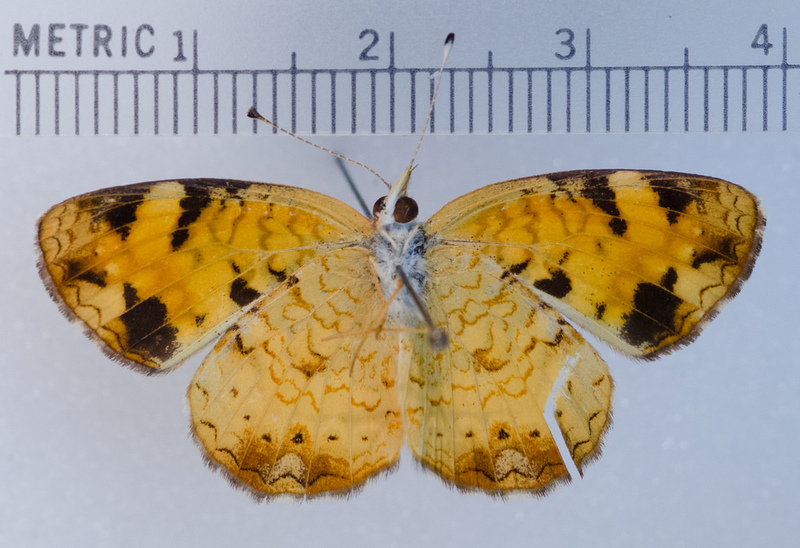 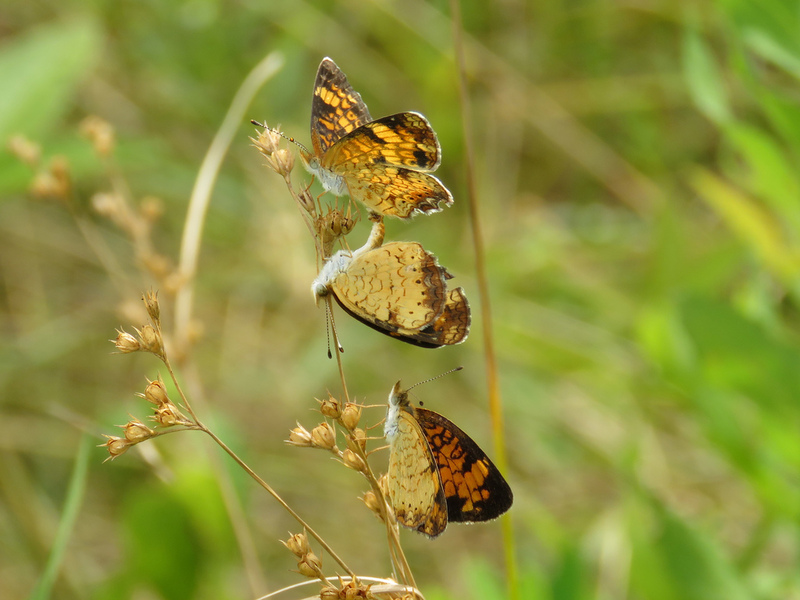 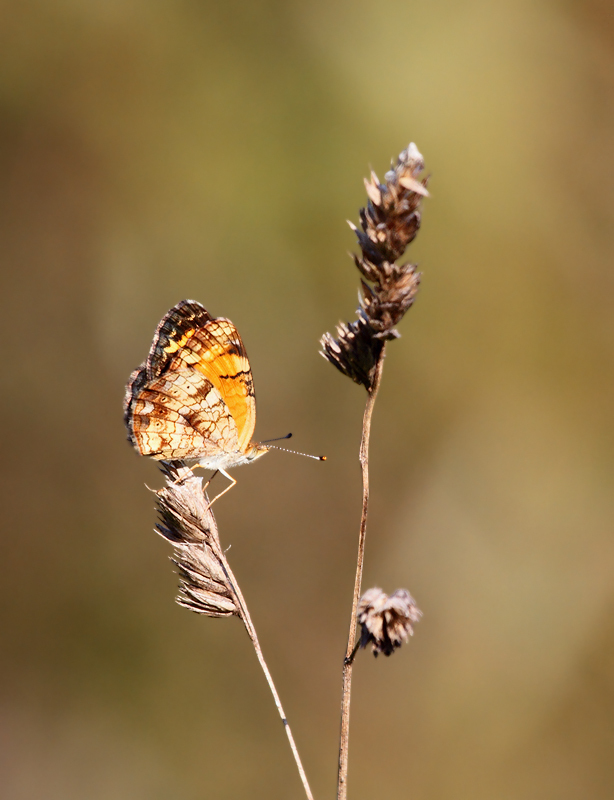 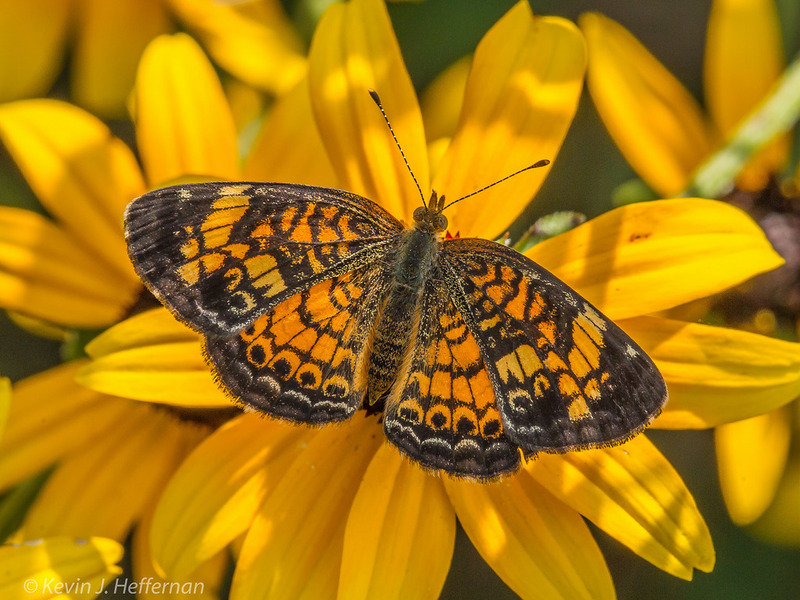 The Pearl Crescent (Phyciodes tharos) is a familiar and common species, with an orange upperside and intricate blackish markings through the interior. 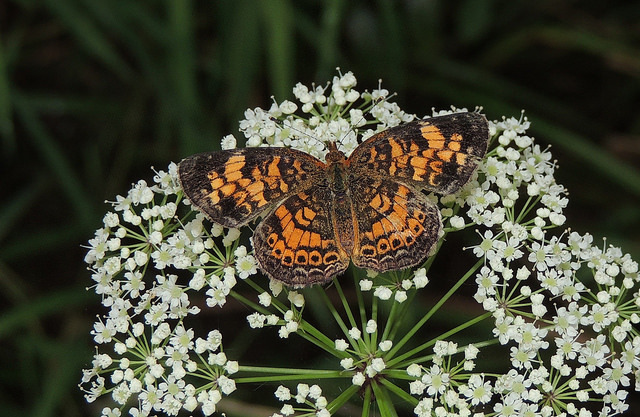 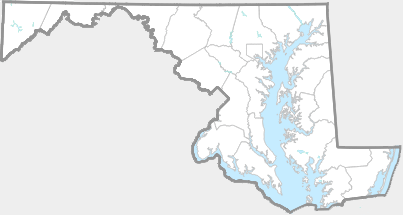 This butterfly is found across the state throughout the warmer months, into November (Butterflies of Maryland: A Biological Summary and Checklist by Lynn Davidson & Richard Smith). 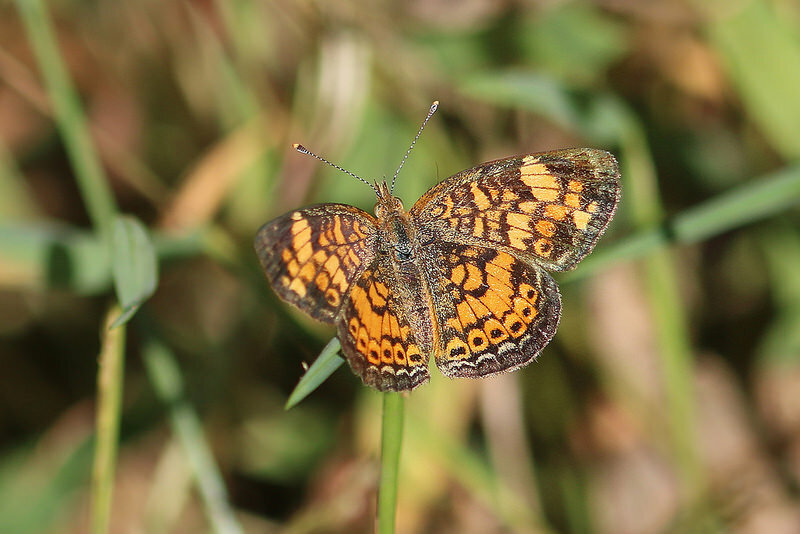 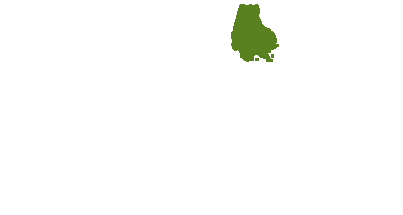 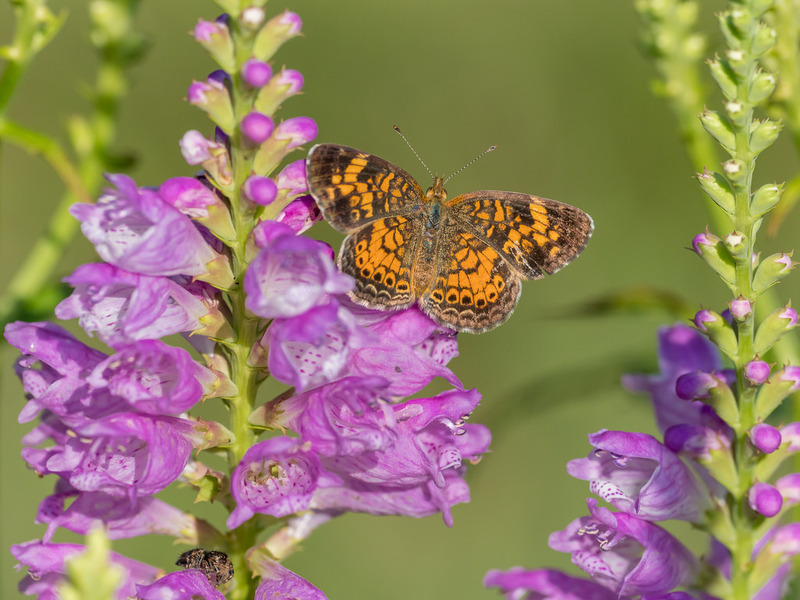 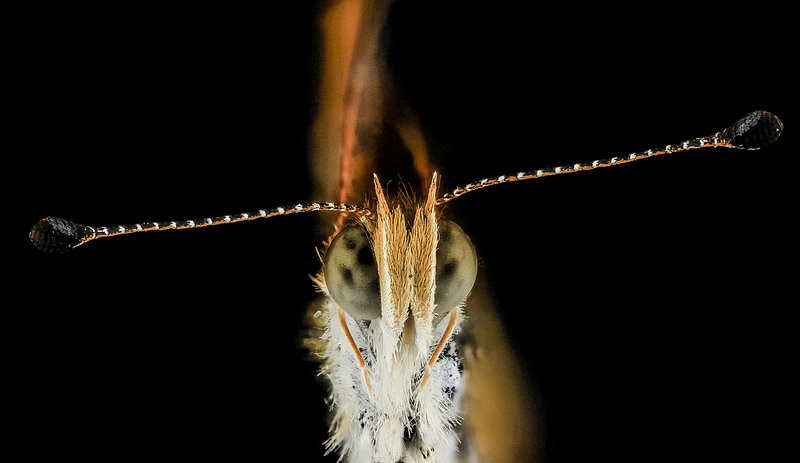 It is distributed generally in fields, meadows, gardens, and many other open habitats, and is easily identified and learned even by those with a casual interest in butterflies. 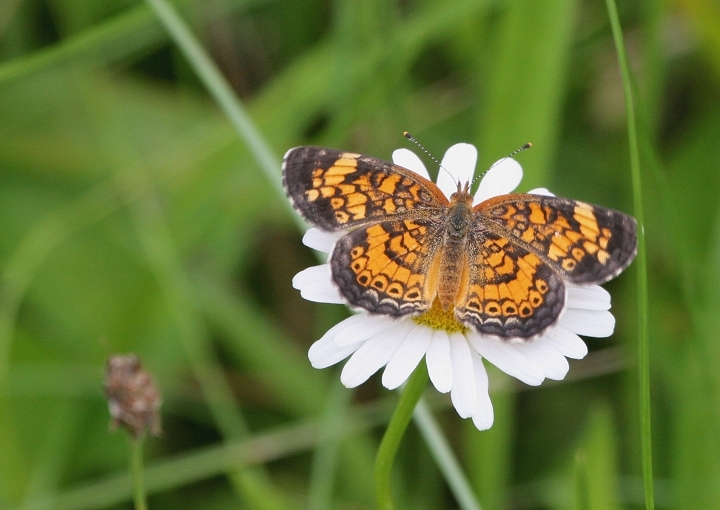 Pearl Crescent is known to use various asters as larval hosts, including White Panicle Aster (Symphyotrichum lanceolatum), Hairy White Oldfield Aster (S. pilosum), and Smooth Blue Aster (S. laeve), and probably others. 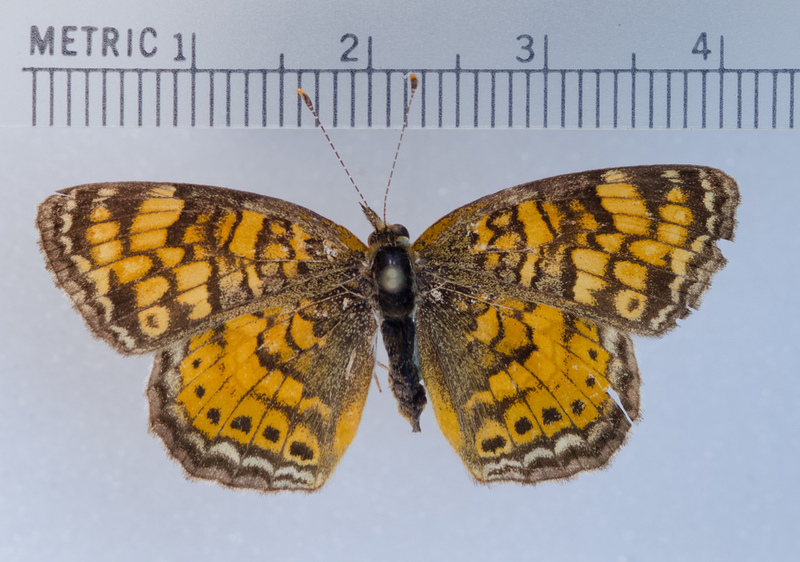 For instance, captive specimens have been reared on New England Aster (S. novae-angliae). 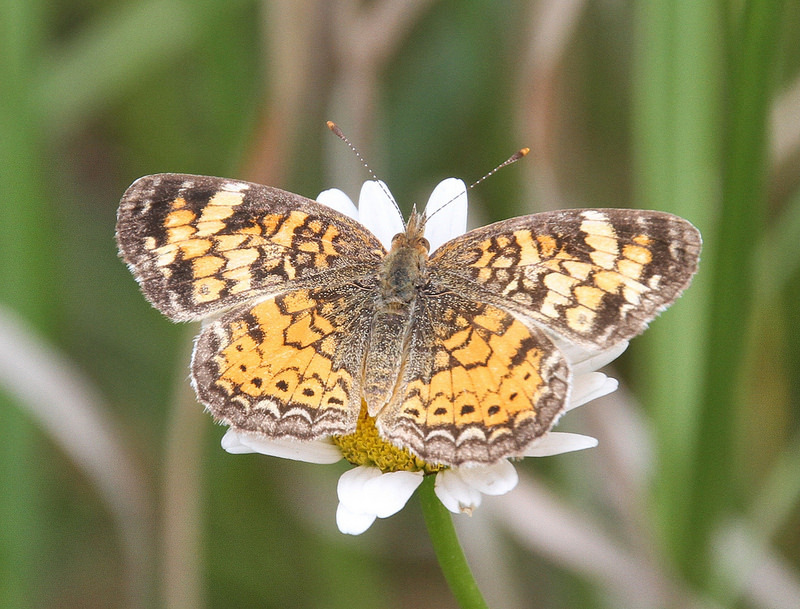 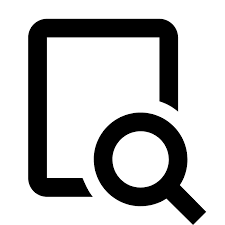 There are 684 records in the project database.